My name is Rajeev. I am a Fulbright Scholar from India. 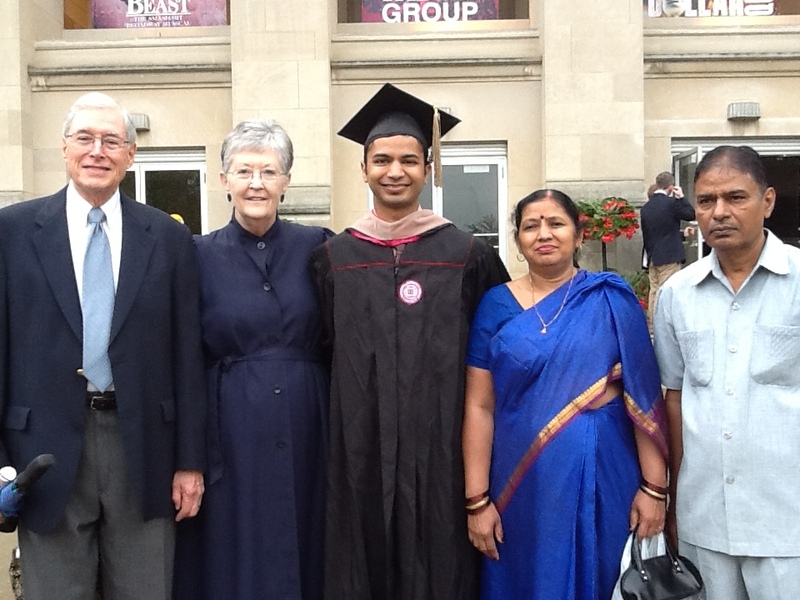 Three years ago, I took a journey from India to Indiana to pursue graduate education. That made me fall in love with this country. I became a lifelong Hoosier. I live in New York City now and it’s time for me to go. Go back to India and contribute to understanding between the two largest democracies. I came to America to share my India with you and now as I go home, I will share America with my folks there. My thirst for learning about America and Americans is not over yet. To conclude my Fulbright journey, I have a goal – 30 in 30. I want to take a road trip from New York to California and meet 30 American families in 30 days as I pass through Pennsylvania, Ohio, Indiana, Illinois, Minnesota, Wisconsin, Dakotas, Wyoming, Utah, Montana, Idaho, Washington, Oregon, and end up in San Francisco, California. I want take this message back home that there is lot of America between NY and CA. I wish to take back home, the vastness of American land and water and people and food – between the skylines of NY and CA. I want to learn from a family in Wisconsin, what it means to be American, what work they do, what keeps there family together, what their concerns are, what dreams they have? I want to learn from a family in Montana what they think of India and Indians and Indian food and Bollywood. The goal of this Indo-US friendship tour is to initiate a dialogue of friendship between the two massive nations. The final product will be a documentary film titled “Discovery of America”. You can find my itinerary further below and every day I will post story here and Twitter @rajeevcinema about my whereabouts and experiences. I want you to be a part of my journey. To find those American families, I need your help. If you have a family or friends who can break bread with and chat with me in any of the towns and cities listed on my route, please help me connect. I believe in America, I believe in humanity. I am confident that with the help of my friends, I should be able to line up American homes opening the doors for me as I keep moving westwards. Posted on July 2, 2014 by rajeevgupta	• This entry was posted in Discovery of America. Bookmark the permalink. Your journey sounds a great initiative! Just wondering if you’re keen on meeting only Native American families or even Indian families settled there? Thanks for writing. I am interested in meeting all kinds of families who live in America and have made this country their home. My desire is to keep it as diverse as possible so I would like to meet families of various races and ethnicities , including Native American and Indian families. What a great experience. I’d love to take you to dinner in San Francisco if you gave the time. If so, please confirm. Either way, best wishes to you in all you do!